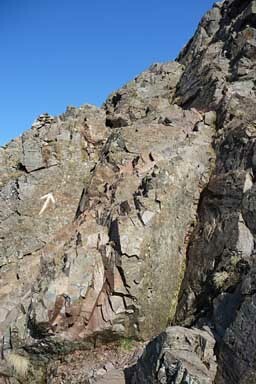 Stow away your walking poles if you use them before descending this awkward rock step. They'll just get in the way. Larger version of this picture.